Questions about Kichler Lighting 10702TZ? Neither flamboyant nor gaudy, the Hastings Collection looks to simple forms in order to match a broad array of styles and colors. The clean lines on Hastings fixtures flow into abundant curves almost seamlessly. This family features our exclusive Tannery Bronze finish to provide a classic, aged look. Because of its all purpose style, the Hastings Collection offers a wide arrangement of chandeliers, pendants, and wall sconces ensuring that no matter if it's for your ceilings or walls, there is something for every room in your home. 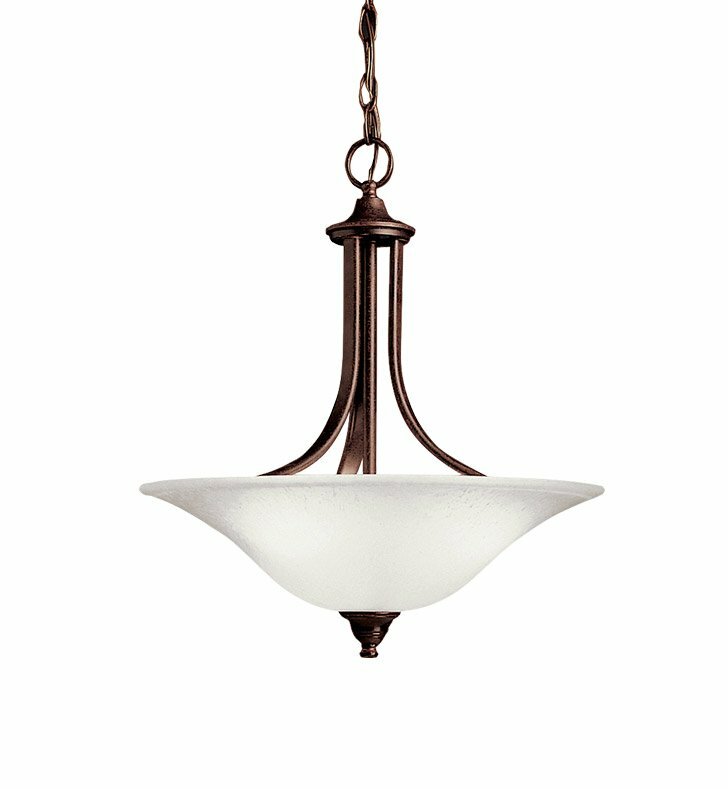 This large energy efficient1 light-inverted pendant features the clean lines the Hastings Collection is known for. It features an etched seedy glass diffuser that helps produce a warm light and its modern design is perfect for almost any room. It uses an energy efficient 2700K 2C40-W. Circline (G10q) Lamp (included) and measures 18" in diameter with a 19" body height. Dimensions: H 20" x W 18"